The Chartered Institute of Marketers (CIM Malawi ) has said the country’s business environment remains challenging despite the country recording some positive macroeconomic strides. CIM Malawi President, Mike Khomani, was speaking in Blantyre on Monday when the association received K1 million from Nico Life towards its annual conference which starts in Mangochi on Thursday. The conference will be held under the theme ‘Gaining a Competitive Edge: Marketing Strategies in a Turbulent Environment’. Khomani said, though the economy has recorded some improved fundamentals in recent months, businesses continue to struggle. Over the past months, Malawi has seen improvements in inflation, stable exchange rate and relatively lower interest rates. Khomani said this is the reason they chose the theme for this year to help the professionals bang heads on how best to thrive in a challenging environment. “Preparations for the conference are at an advanced stage. All the speakers have confirmed participation. We have lined up a number of exciting presentations to help the marketers improve their game,” Khomani said. He hailed Nico Life for the donation which, he said, would go a long way in ensuring that the conference is successful. Nico Life Marketing Manager, Steven Kanyoza, said the firm has excellence at the top of its agenda. Kanyoza said Nico Life appreciates professional conferences in transforming the ability of marketers into excellent professionals. “This is not the first time we are supporting CIM Malawi. Apart from the sponsorship, we are also sending a number of our marketers to the conference. 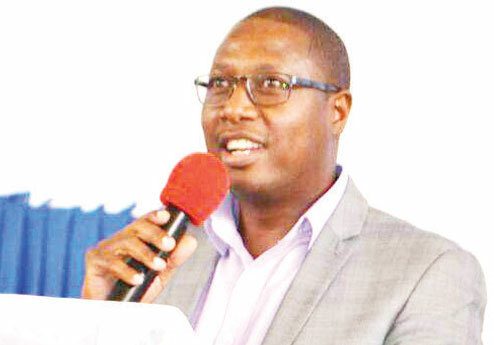 “We believe the indaba will help the marketers to acquire new skills to up their game,” Kanyoza said. About 200 marketers are expected to attend the conference.